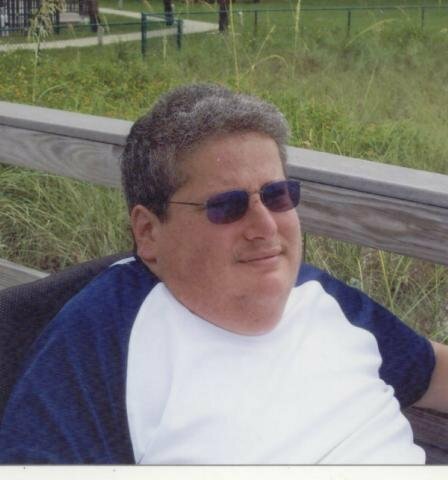 passes away at age 48..
"I only want to live long enough to do God's will"
"God received another angel into heaven March 20, 2014 when my brother David Lehkamp passed away from pulmonary arterial hypertension. Age 48 and my youngest brother, David was a truly inspiring brother who touched many others through friendship and prayer. I love him dearly and will live my remaining life through his visions." David K. Lehkamp, 48, of Ft. Thomas, KY, passed away on March 20, 2014 at St. Elizabeth Medical Center in Fort Thomas, KY. The world has lost a truly remarkable and intelligent young man who became your friend as soon as you met him. Dave worked for Delta Air Lines Reservation Sales & Service Million Dollar Program until forced to retire due to ill health. Thru Facebook Dave had friends all over this country. Dave faced many health obstacles during his life, but this never stopped him from wanting to succeed and help others. As a young man he set up and ran a summer camp for other youngsters with Spina Bifida through Children's Hospital. His love of sports grew as his two brothers' played football at Highlands where he also attended. He became involved with Bluegrass Preps, an online sports chat forum and became a moderator known as "Birdsfan." Dave had such compassion for others and their problem and donated his time and money to help them. He volunteered at St. Luke Hospital in Fort Thomas in the Admitting Office, Elderlife Office, and more recently as a Chaplain Volunteer. Recently Dave decided he could best serve as a Priest or a Deacon but physical limitations prevented this, so he went back to NKU and was currently in his junior year pursuing a degree in Clinical Mental Health Counseling, where he was on the President's List. He was a member of Phi Sigma Pi National Honor Fraternity. He was asked to serve as the student representative on the Faculty committee to choose two new professors. Dave was dedicated to God and his Church helping in the RCIA Program at St. Thomas, plus devoting one hour each week to adoration of the Blessed Sacrament. He was a gifted writer and was in the midst of writing a book about his life as an inspiration to others, plus he owned and ran his own copywriting business. He recently stated that "I only want to live long enough to do God's will." He has most certainly done that and will continue the work in Heaven.. The following article was written by a staff reporter with the Cincinnati/Northern Kentucky Enquirer. About 15 years ago, David Lehkamp fell gravely ill, spending more than 250 days in the hospital due to complications of spina bifida. It was then that the Fort Thomas resident began to read about Padre Pio, the Catholic saint famous for saying "Pray, hope and don't worry." Many say Mr. Lehkamp  who died March 20 from pulmonary arterial hypertension at age 48  mirrored Pio's compassion and optimism, constantly extending a helping hand to others, including a stranger in the military to whom Mr. Lehkamp wrote overseas, patients and family members he counseled as a volunteer chaplain at St. Elizabeth Fort Thomas and many more. His parents, JoAnn and Ken Lehkamp, also of Fort Thomas, knew their son had forged many friendships; through his alma mater Highlands High School, his love for sports and in a role as a moderator known as "Birdsfan" for the high school sports website Bluegrasspreps.com. But until his recent illness, his parents said they had no idea how many people their youngest son had touched. A post on Bluegrass Preps asking for prayer led to some 200 comments and nearly 10,000 views. "We can't believe all the people," his mother said. Mr. Lehkamp could be found at every home football game, keeping score and tracking plays from his wheelchair near the rail by the corner of the end zone. Even the fans of opposing teams knew him, making a point to stop and say hello. A close friend, John Schrode, met Mr. Lehkamp after he wrote an entry for Bluegrass Preps about Schrode's son when he was an underclassman tailback. The two became fast friends. Passionate about writing, Mr. Lehkamp owned a copywriting firm and previously worked for Delta Air Lines in reservation sales. At the time of his death, he was pursuing a degree in clinical mental health counseling from Northern Kentucky University. Friends and family called him highly intelligent, a wordsmith with a witty sense of humor. Years ago he required a tracheostomy tube for several years and when doctors said he could remove it, Mr. Lehkamp threw a "trach divorce party," said his father. "He was so quick with a quip that you couldn't beat him," his father said.